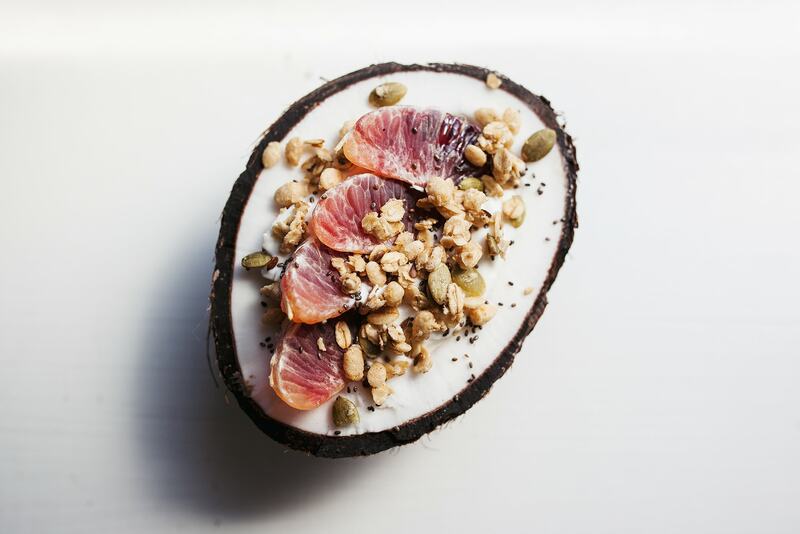 Chilling and eating one of these coconut bowls makes living a healthy life so delicious. I try to keep it creative while also making it as easy as possible. Because most the time I don’t have the patience to make anything to complicated. But there’s a beauty in simplicity, and keeping it natural (and tropical) always makes me feel like I’m on vacation. 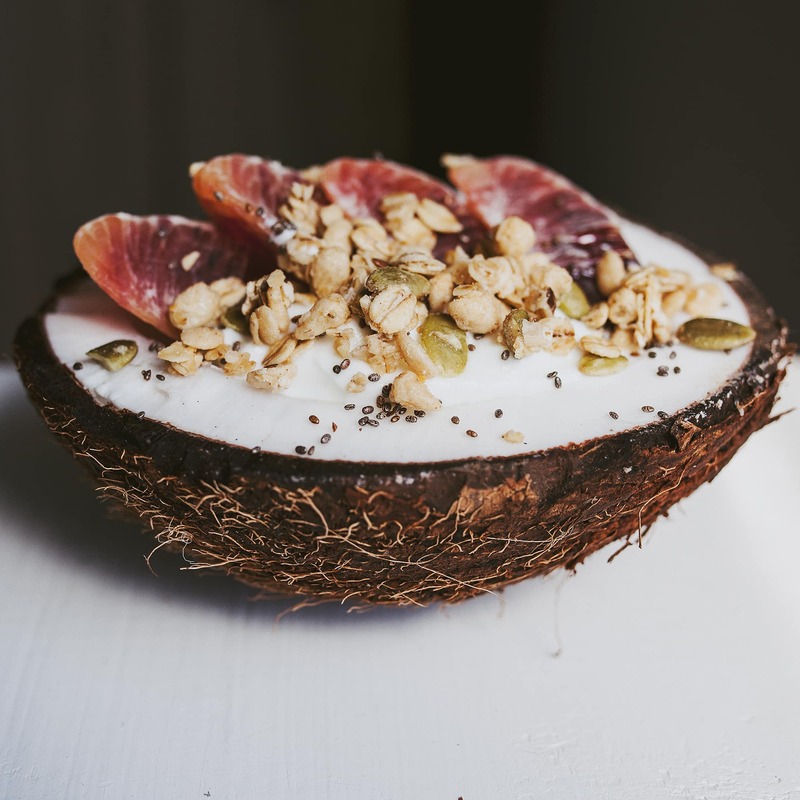 Thus, my new obsession with coconut bowls for breakfast or lunch! If you can get your man to machete the thing in half, all you have to do is fill it with goodness. 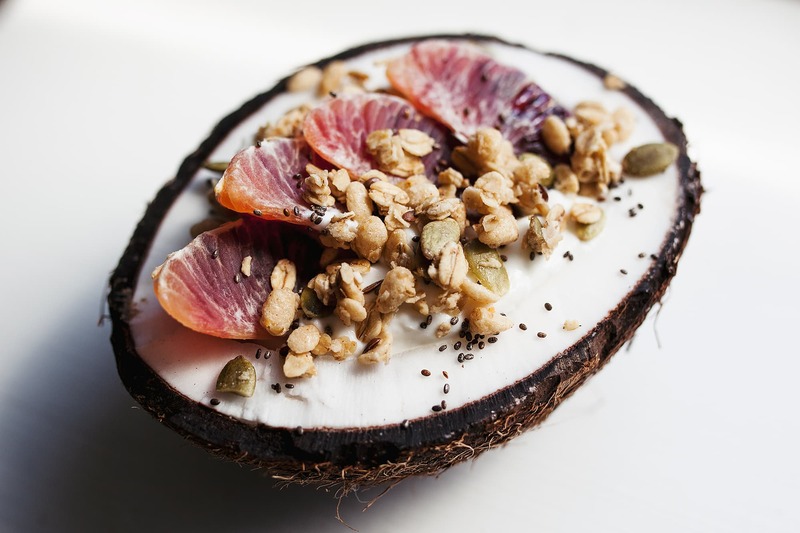 In mine I LOVE coconut greek yogurt, blood oranges, granola, pumpkin seeds, and chia seeds. The coconut yogurt kinda makes it, so I recommend getting that flavor! But you should definitely go with your cravings and fill it with what you want. You can either scrape out the coconut flesh before and include it in your bowl, or after eating. The fresher the coconut it is, the sweeter the flesh will be. Go for the coconuts at the market that are individually wrapped in plastic so you know it didn’t lose any moisture and get dried out!